The Cleveland Art Museum announced the addition of two Dutch works to the collection. They include the The Violin Player, a Caravaggesque genre painting by Dirck van Baburen and a mythological drawing by Johannes Stradanus, a Netherlandish artist at the Medici court in Florence. Van Baburen’s The Violin Player represents one of the most characteristic themes addressed by the artist: a half-length figure of a musician, depicted at life size and close to the picture plane. 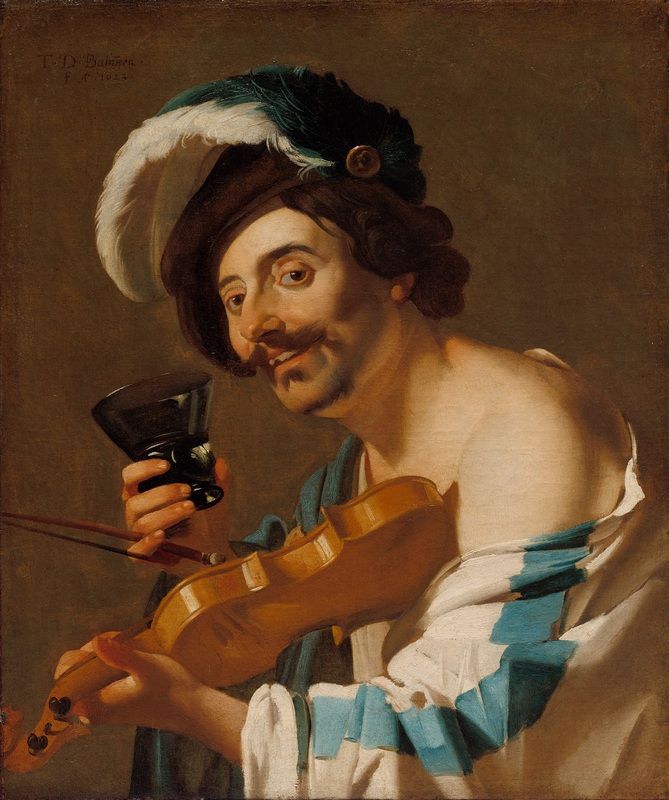 The violin player’s colorful dress marks him as a marginal figure—evidenced by the man’s bold gaze, unshaven face, and cheeky grin complete with a broken tooth. The playful naturalism of Baburen’s painting reflects a typically Dutch interpretation of the Caravaggesque style: an unaffected character who openly enjoys life’s sensual pleasures—music and drink, with a hint of bared flesh. Painted in 1623, one year before the artist’s death. The painting will be presented in gallery 213 in December 2018 when the northern European galleries are refreshed and unveiled. The Flaying of Marsyas by Johannes Stradanus is a brutal mythological tale. Ovid describes how a musical contest between Marsyas and Apollo—a battle of the flute versus the lyre—ended tragically for Marsyas, a satyr and follower of Silenus. The muses declared Apollo the victor and gave him the prize of determining the satyr’s punishment. Apollo chose to tie Marsyas to a tree and flay him alive. Renaissance intellectuals understood the story as a contest between the intellect—embodied by Apollo and his lyre—and the passions, embodied by Marsyas and his flute. Christian humanists also interpreted the story as spiritual purification: the shedding of concerns of the body for those of the soul.